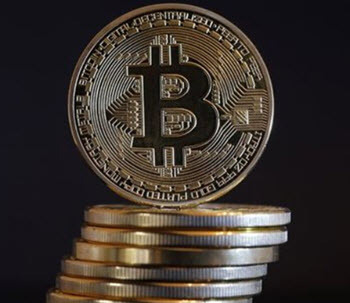 Launched back in 2009, Bitcoin is arguably the most famous of the cryptocurrencies, and for many, paying with or investing in bitcoins was their first foray into the world of cryptocurrencies. The basic software used for Bitcoin was released by someone (or someones) using the pseudonym Satoshi Nakamoto. In late 2008, a report appeared online detailing how a cryptocurrency called Bitcoin could work. In early 2009, the Bitcoin network and the necessary software was released – with open-source code. By 2015, over 100,000 vendors worldwide accepted Bitcoins as payment for their goods and services. Many of them were online businesses only, but the list also included quite a lot of more traditional brick-and-mortar places, such as pizzerias, cheese shops, and barbers. A wide range of not-for-profit organizations had also begun accepting donations in Bitcoins, including Greenpeace, Wikileaks, The Wikimedia Foundation, and The Mozilla Foundation. Examples of large and well-known businesses that accept payments in Bitcoins are Microsoft, Time Inc, Expedia, PayPal, Dell, and Overstock. 1 millibitcoin (1 mBTC). This is 1/1,000 bitcoin (10−3). 1 microbitcoin (1 μBTC). This is 1/1,000,000 bitcoin (10−6). 1 Satoshi. This is 1/100 million bitcoin (10−8). Bitcoin is not tied to any national bank or similar. Instead, it relies on a peer-to-peer (P2P) network, where a database is distributed over the network nodes. Decentralization and privacy are two key aspects of the bitcoin system, and cryptography is utilized to uphold a high level of safety and secrecy. Through the Bitcoin network, it is possible to transfer bitcoins without going through a bank or other financial institution. There is no central bank printing new bitcoin bills or minting bitcoin coins, but that doesn’t mean that the amount of bitcoins in the world is constant. The Bitcoin system was created with a built-in system allowing people to create new bitcoins by carrying out certain tasks. The Bitcoin network needs computer power to function, and new bitcoins are created to reward those who contribute power to the system by letting their devices work to verify and log bitcoin transactions. Because of this, the amount of bitcoins is growing. With national fiat currencies, printing new money typically causes inflation, where each unit of the currency drops in purchase power. With bitcoin, the creation of new bitcoins have – so far – not led to inflation since speculation in bitcoins have been a much more powerful force. Bitcoin mining is not the only way to make money from Bitcoin. A lot of people have earned small fortunes by investing in bitcoins. The currency has created several billionaires. 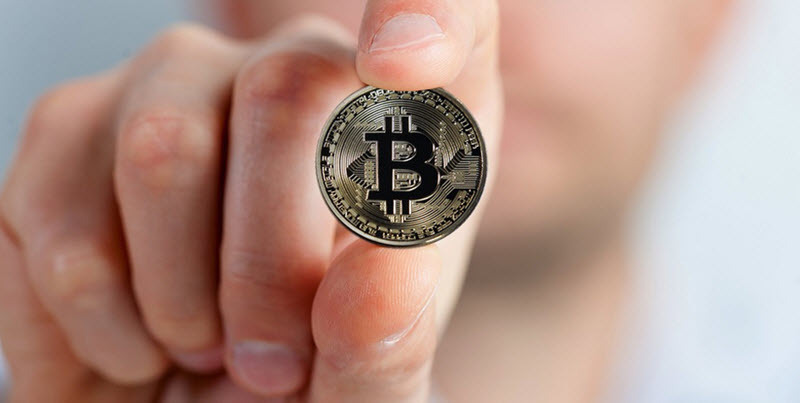 The volatile nature of Bitcoin has also made it very popular among day traders and Forex trader who are able to make large profits regardless of whether the value is going up and down. They profit from the volatility, not from the value of the coin. They do this by investing in Binary bitcoin options and different leveraged bitcoin certificates. If you want to try to make money from the volatility of Bitcoin then you need to learn as much as you can about binary options and CFD certificates, You also need an account with a binary options broker or a CFD broker. A bitcoin wallet is where you store certain data that you need to prove that you are the owner of your bitcoins. Without this data, you can not prove your ownership, and it is thus not possible for you to transfer your bitcoins, e.g. to pay for something. So, you are not actually keeping any bitcoins in your bitcoin wallet. You can store this data in non-digital form if you want to (e.g. paper printouts) but this makes transfers a bit cumbersome. Storing the data in a digital wallet on your own hard drive is much easier. If you don’t want to store the wallet on any of your own devices, there are providers available online that will let you keep your wallet on their server. You want to transfer bitcoins from your Bitcoin wallet to your friend Emma’s wallet. Emma’s gives you her Bitcoin address, which has been generated by her Bitcoin wallet. Each address can only be used for one transfer, so if you want to send Emma more bitcoin in the future, her wallet needs to generate a new address for that. You order your Bitcoin wallet to do a transfer to Emma’s Bitcoin address. A private key stored on your computer is used to generate a digital signature. The Bitcoin network confirms your digital signature using the public key. The transfer is carried out. If you lose your private key, e.g. because your hard drive is destroyed in a house fire, you can no longer prove ownership of your bitcoins. One of the more famous new stories regarding this arose in 2013 when a person claimed to have lost access to 7,500 bitcoins by accidentally throwing away the hard drive where his personal key was stored. At the time, this amount of bitcoins had a market value of roughly 7.5 million USD. August 2010 A vulnerability in the Bitcoin protocol is exploited and 184 billion bitcoins are mined using the vulnerability. The 184 billion bitcoins are removed from the system and new software is released to block the vulnerability. 15 May, 2013 In the USA, the Financial Crime Enforcement Network (FinCEN) publishes a regulatory framework for decentralized virtual currency. On the 15th of May, the new rules are used to confiscate accounts tied to the market site Mt. Gox since Mt. Gox has failed to register in accordance with the new rules. 23 June, 2013 The U.S. Drug Enforcement Administration (DEA) make their first Bitcoin confiscation. 29 October, 2013 The world’s first Bitcoin ATM is opened by Bitcoiniacs and Robocoins. It is located in Vancouver, Canada. 28 November 2013 The BTC-USD exchange rate reaches 1 BTC = 1,000 USD at the Mt. Gox market site. June 2014 The football event St. Petersburg Bowl in Florida, USA changed name to Bitcoin St. Petersburg Bowl after accepting a sponsor deal from BitPay. Bitcoins could be used to buy both tickets to the game and food and drinks at the arena. September 2014 The United States Commodity Futures Trading Commission gave TeraExchange LLC permission to list a swap-product based on the BTC-USD exchange rate. February 2015 Over 100,000 publicly known vendors accepted bitcoin as payment for goods and services. October – November 2015 Big changes for the BTC-USD exchange rate, with the price of bitcoin going from below 250 USD in early October to over 500 USD in November. 20 May 2017 For the first time ever, the market price of 1 Bitcoin exceeds 2,000 USD. 12 August 2017 For the first time ever, the market price of 1 Bitcoin exceeds 4,000 USD. 1 September 2017 For the first time ever, the market price of 1 Bitcoin exceeds 5,000 USD. November 2017 For the first time ever, the market price of 1 Bitcoin exceeds 8,000 USD. 17 December, 2017 The Bitcoin price tops out at 19,783.21 USD. 22 December, 2017 The bubble has begun to lose air and the price is down to under 14,000 USD. November 2017 Ten year anniversary of Satoshi Nakamoto’s article “Bitcoin: A Peer-to-Peer Electronic Cash System”. November 201t Bitcoin has continued to lose value and is now traded around 4,000 USD. Down 80% from a year before.